Winter is on its way and for some, that means one thing—time to craft! 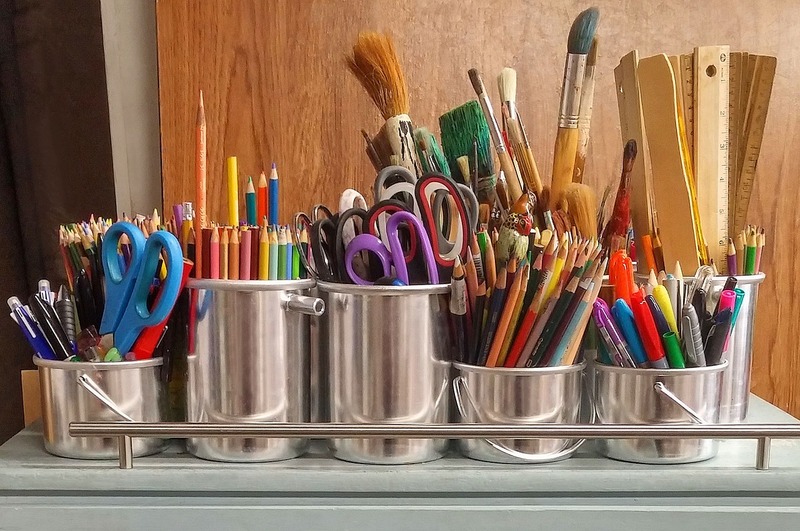 December is the perfect month to hone your skills at arts and crafts. Not sure where to start? Here are some how-to books on everything from crafts to drawing! Karina Garcia’s DIY Slime by Karina Garcia – Find over a dozen different, borax-free slime creations inside this how-to guide. Duct Tape: 101 Adventurous Ideas for Art, Jewelry, Flowers, Wallets, and More by Forest Walker Davis – Duct tape crafts never disappoint and there are a bunch of ideas inside this book! Using duct tape as a medium, learn various techniques, with different project ideas mapped out. How to Draw Cool Stuff: A Drawing Guide for Teachers and Students by Catherine V. Holmes – Get step by step instructions on how to draw. Helpful tips and building from the basics will have you drawing like a pro in no time! Start to Stitch by Nancy Nicholson – Are textile-based arts more appealing to you? You may want to try this instructional book covering everything from embroidery to sewing! We also have a lot of arts-based programs perfect for exercising your creativity coming soon at Henrico County Public Library. Drop by Teen Art Studio for some fun, hands-on creativity! We’ll discuss different styles of art and do a variety of art, craft, and drawing projects based on what we learned. All artistic skill levels are welcome! The New Year is fast approaching and resolutions are a focus! Come in for a relaxing session to learn how to make journal jars with writing prompts to get your creative streak started right in 2019! Join us for this craft, games and other activities to close out the year on a high note! Tired of your headphones getting constantly tangled? Join us at the first teen DIY (do it yourself!) club at Fairfield to learn a simple "life hack" craft that will keep your headphones from ever getting knotted again! Please check our events calendar to register or to see more program offerings. We look forward to seeing you at the library soon! Live Music for the Holidays!